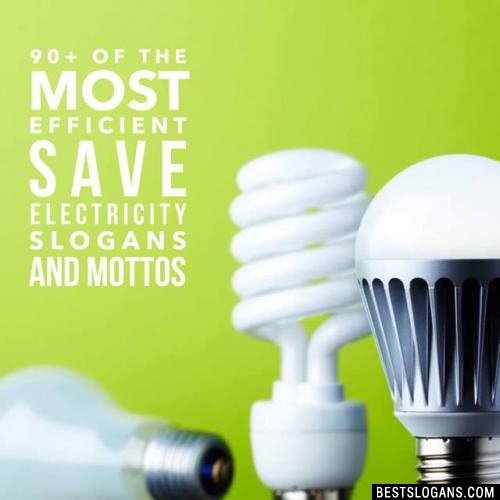 91 new entries added to save electricity slogans, that include pictures. 1. Be polite. Turn off the light. 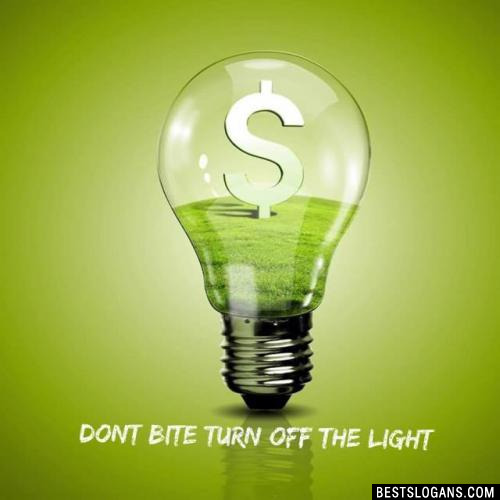 Reducing energy use in your home saves you money, increases our energy security and reduces the pollution that is emitted from non-renewable sources of energy. 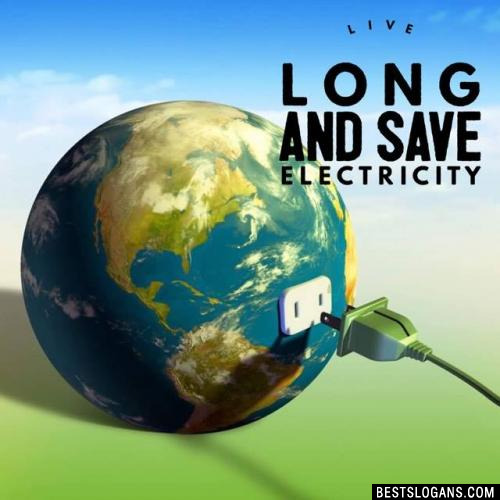 Here a few facts you should know about saving electricity. Leaving a computer on all day can cost about 21 cents per day, or about $75 per year. Unplug electronics and appliances when not in use a task made easier by using multiple-outlet strips, which can turn everything off with the flip of a switch. On average, households lose about 20 percent of their heated and cooled air through the duct system to the outside. To avoid wasting energy, have your ducts inspected to ensure theyre sealed properly and insulated if necessary. 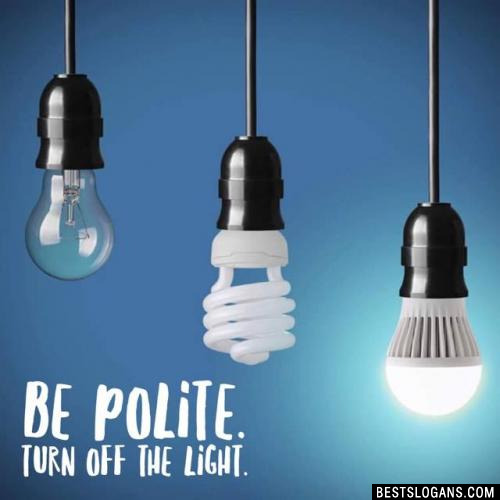 Be polite. Turn off the light. 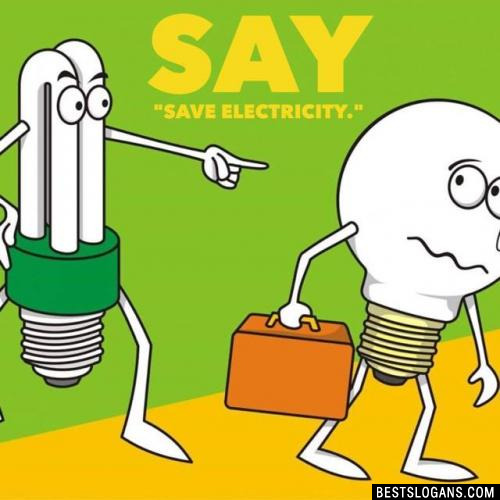 2 Save electricity, Got it? 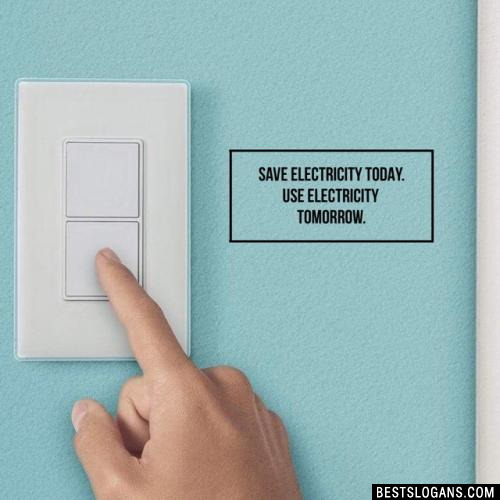 Save electricity today. Use electricity tomorrow. 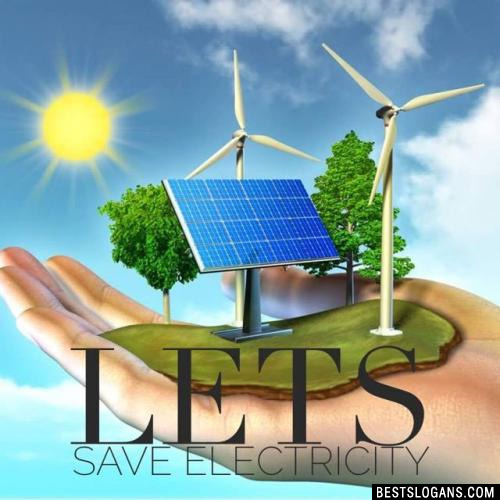 Can you think of a good Save Electricity Slogans we're missing? Or come up with a clever one of your own. Please share below.